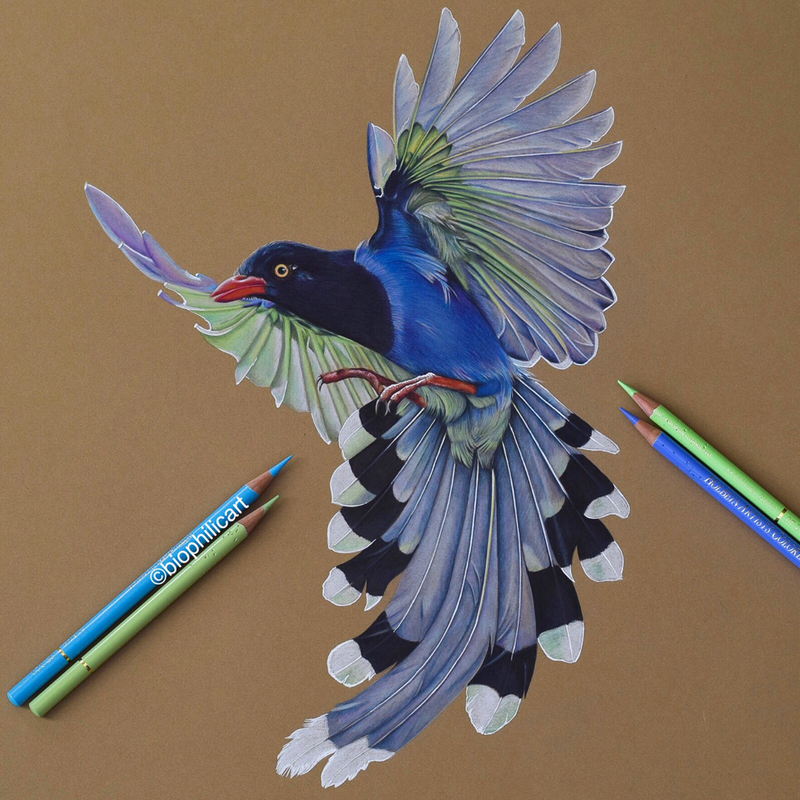 Taiwan Blue Magpie. This must surely be one of the most beautiful magpies. 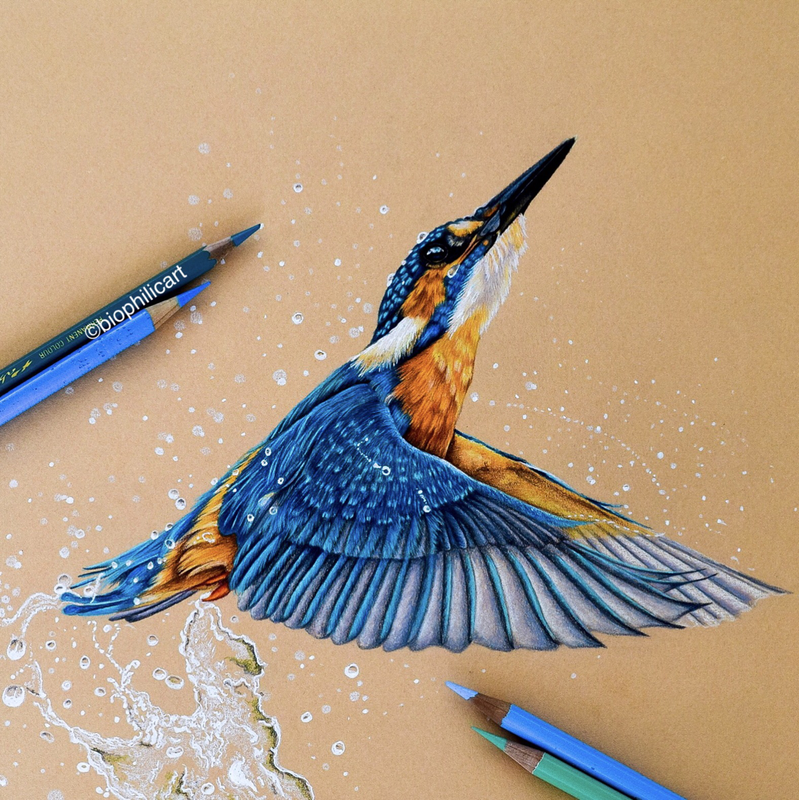 It is always wonderful to have the opportunity to draw birds in flight. This was my first time with this new color of paper too. Superb Fruit Dove. Native to Australasia. I wish they were native to my garden. Imagine seeing these every day! There are two videos showing how l worked parts of this bird. Just click the link below to view. Rufous Throated Sapphire Hummingbird on Coffee Bean branch. Just so many beautiful hummingbirds! I don’t think l will ever get tired of drawing them! This is the Bee Hummingbird. The tiniest hummingbird of them all. If you have never looked these up, do! You will be amazed at just how small they are. Although the barbed wire this one is sitting on may give you an idea! This is an Anna’s Hummingbird. One that l have a really soft spot for. I just love all hummingbirds but this one is very special to me. 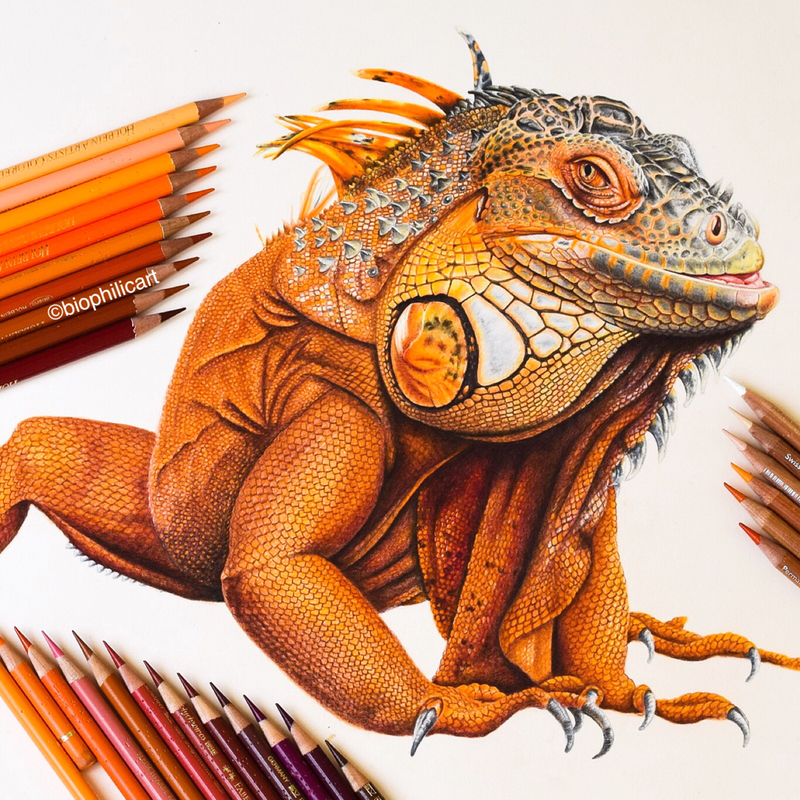 Here is my orange iguana and l have been wanting to draw him for ages! Ever since l discovered that there were orange iguanas! I was totally amazed! And this one is definitely an alpha male! Common Kingfisher. Another one on my to do list finally done. I always wonder how birds get the name Common as it seems to me that even when you happen to live in the right place you rarely see them. I have never seen a Common Kingfisher in real life and would love to. Nicobar Pigeon. 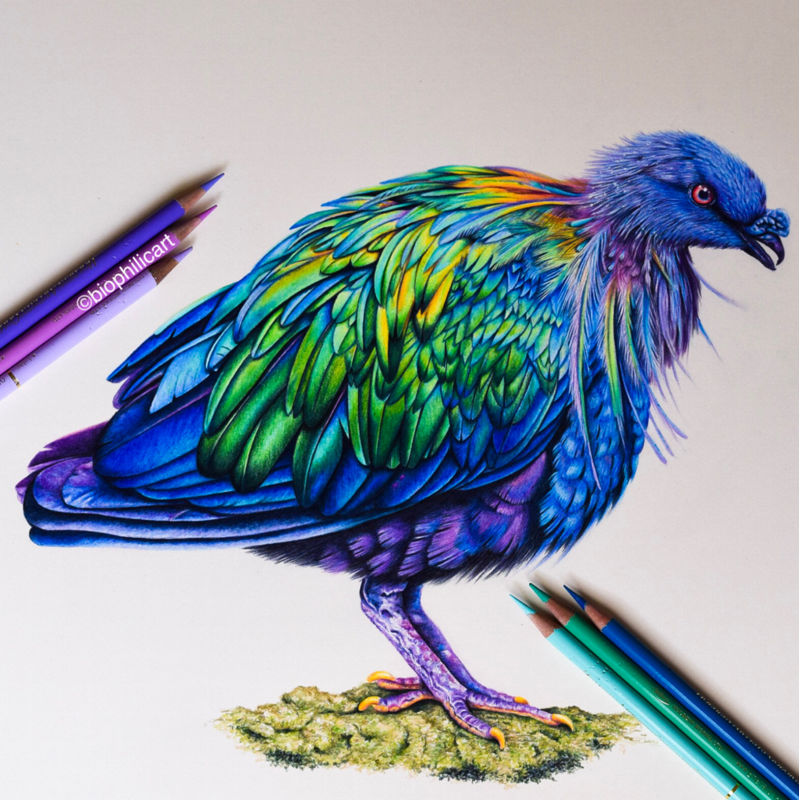 The closest living relative of the Dodo, and one of the most complicated birds l have ever drawn. This is Maya, a beautiful blue and yellow Macaw. She is an absolute character, full of fun and personality. Maroon Bellied Parakeets. I love pairs of birds and these ones are snuggled up so closely. This is l confess a made up butterfly! I don’t normally make anything up, but l couldn’t find a real pink butterfly! So this is my pink version of a blue ‘morpho’, because it just should exist!